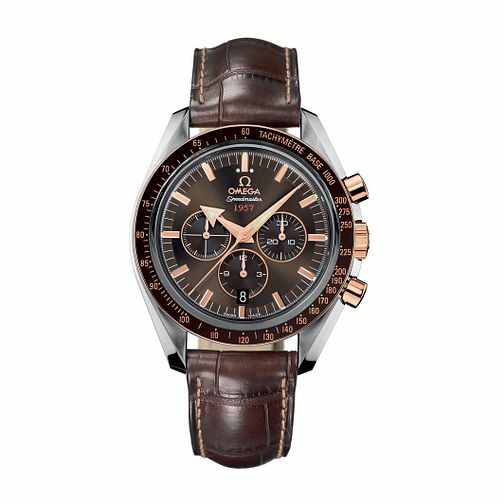 Water resistant to 100 metres and with a 52 hour power reserve, this stylish chronograph watch from Omega's Speedmaster Broad Arrow collection is functional as well as good looking. Crafted with a stainless steel and rose gold case, it also features a smart brown leather strap. A prestigious brand combining flair with timekeeping precision, Omega has created iconic watches over its 150-year history.